This was the perfect start to the weekend. I had a wonderful Friday night catching up over dinner with my 2008 Mt. Ararat class president to start planning our ten year reunion next year, and I remembered that my friend Ben’s band, Rough Sawn, was playing around the corner at the UU Church Side Door Coffeehouse. A handful of friends were going, so I joined them at Joshua’s for a quick drink and we made it over just in time for Rough Sawn’s first song. I was impressed. Father and son Nick and Ben Whatley, Seth Gallant, and Steve Frens are a talented bluegrassy quartet. I liked their mix of country standards by Merle Haggard and Willie Nelson tunes along with Seth’s lovely original songs. If you like stringed instruments, Rough Sawn will delight on upright bass, guitar, banjo, and mandolin. Some nights are good for your soul. This was one of them. It was just what I needed, actually. I guess that’s what makes this a longer post than I’d intended to write. Here goes! I booked my ticket to Florida to visit my dad in February, introduced my beloved rescue cats Nelson Mandela and Margaret Thatcher to friends, and made my way to Portland in time to grab a quick dinner at Empire with my friend-in-music, Aimsel Ponti. I actually saw husband and wife duo Shovels & Rope upstairs at Empire for the first time back in March of 2012. Michael Trent and Cary Ann Hearst are a force. I was really glad to have the chance to see them again in Portland. Aimsel and I nerded out about our favorite new albums, recent shows we’ve seen or booked, and bands we love over a delicious dinner, and we got to Port City Music Hall when doors opened. Port City graciously posted on Facebook to remind us that this was an intimate sold out “Evening with” Shovels & Rope, and that there was no opening act. I was psyched about that, too. It was awesome to be home and in bed at 10:30 on a school night. Thanks, Aims, for taking this selfie. I am never in show pictures! Aimsel and I grabbed a spot front row center next to preschool teacher Elise (she’s a regular Newport Folk Festival goer) and we all chatted about bands we love (man, that is good for what ails you). Charleston’s Cary Ann and Michael took the stage right at 8 o’clock, and they wowed for two solid hours. 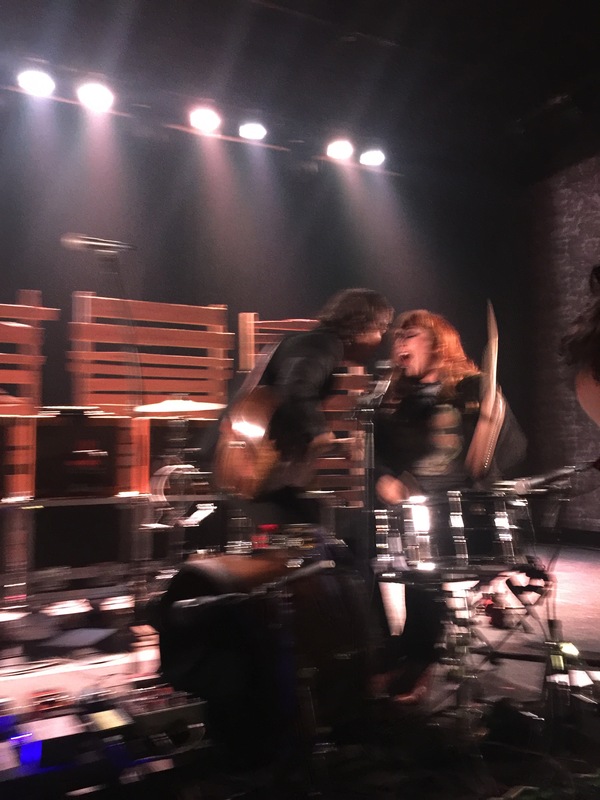 Their music is a powerful Southern folky rock and their mastery of so many instruments–their voices, guitar, kick drum, snare, tambourine, harmonica, shaker, and keys–are downright impressive. If I could sing like someone, I might just pick Cary Ann. Her raspy, powerful voice cuts right through. It was an absolute pleasure to be in their company. It was a real treat to be just five feet away, too, because I was clearly able to witness their passion and chemistry. Times are hard for those who care about others these days. Cary Ann told us “We will be hopeful for you. You just hold on. We will keep holding on and will be holding onto it for you for when you’re ready to come back to the hopeful side.” It was nice to hear. Michael introduced “San Andreas Fault Line Blues” by telling us about driving their van from California to the east coast listening to Grapes of Wrath. The book was inspired by that part of the country, and they started to get loopy from the drive and imagined being able to hop into the book to tell the characters to watch out for the dangers in the book. Morning song, mourning song/You were always on my mind and even though now I am gone/I taught you these four chords so you could sing your mourning song. It cuts right to the heart of everything, doesn’t it? There’s a steady stream of insanity/In 2017/There’s a dog with the nuclear bomb in his mouth/ Everybody’s scared, everybody’s inspired/The world is under water/It’s also on fire/In 2017/You talk this, but you live like that/It says “Go back home” on your welcome mat/There’s constant unchecked brutality/A brave man takes a stand by dropping to a knee. It’s heavy and timely, and gets right to the point. It would piss off my Uncle Steve, too. Oh well. This was an evening that I didn’t know I needed so much. It was really edifying. 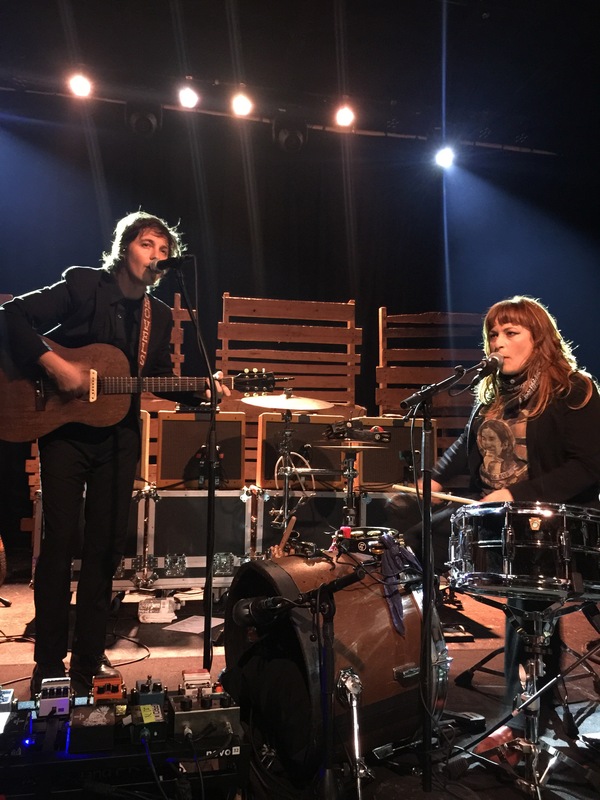 If Shovels & Rope come to your town, you owe it to yourself to check them out. If you think a wall between the US and Mexico is a good idea, maybe you won’t like them in person. I think you should check them out anyway. I lived in Gardiner for a decade, but moved back to Brunswick last summer to be closer to work. I am always glad to spend the day in my former town at one of my favorite events, our eighth annual Swine & Stein Oktoberfest. Sponsored by the dedicated folks at Gardiner Main Street, it combines Maine beer and pork, games, and live music from Maine artists. There’s even more fun to be had at Swine & Stein, though, and it’s truly family friendly. There’s a hilarious beard and mustache competition, a frozen t-shirt contest, (impressively partially blindfolded) butchering demonstrations led by Leon from Emery’s Meat and Produce), a rock-paper-scissors competition, giant Jenga, and even a chicken fling. I was thrilled to be asked back as a local judge for the fourth annual Swine & Stein Beard and Mustache Competition, sponsored by Monkitree. We love hosting the guys from the Maine Facial Hair Club, and they were out in full force. Gardiner Main Street’s Executive Director, Patrick Wright, emceed the entire day and did a fabulous job. We were treated to Maine musical acts on the main stage all day—Oktoberfest German Band, Spare Parts Band, Duquette, The Jason Spooner Band, and OC and the Offbeats. I had to take off early in OC and the Offbeats’ set to make it to school to chaperone the Homecoming dance (quite a Saturday, eh? ), but they were really fun and I’d like to see them invited back for an earlier set. The VIP tent hosted by Craft Beer Cellar was steadily busy all day. The 6th Annual Rock-Paper-Scissors Competition was fiercely competitive. The finalists were a couple, and I hope they’re okay since only one of them could win. The chicken fling competition was hilarious, as always, and Amy and Steve won a second year in a row! I love the fire that folks bring to these friendly competitions. Thanks to everyone who worked so hard to make Swine & Stein a great day! Gardiner Main Street and all of the many, many volunteers I saw in bright orange t-shirts—you rock! See you next year! I posted lots more photos below, so please check them out. If you’d like to use one somehow, please give photo credit to whatbreesees.com. Thank you! This was a lovely, easy Saturday. I hadn’t planned to go to this show, but a girlfriend had an extra ticket, and I thought it would be fun to spend an evening with some fabulous ladies I don’t see nearly enough. We enjoyed a leisurely afternoon outside on a friend’s porch in the sunshine, and had hours to really catch up. It was wonderful. We packed up and made our way over to the last show of the season at Thompson’s Point. You take a risk about the weather when you buy a ticket to an outdoor concert, especially one in autumn, but it was a perfect, comfortable night. We’d snacked all afternoon, so we skipped the food trucks and found our way to the front when we arrived. I caught a handful of songs from The Shelters from LA, but their music didn’t connect with me even though I appreciated their rock band finesse. I sort of gave up on the The Head and The Heart years ago after seeing them at the State Theatre in March of 2012. I LOVE their music and listen to them often, but their live show left so much to be desired. I care a lot about a concert experience, but THATH barely spoke to the crowd at all. I’ve seen great videos of them on YouTube playing acoustic songs in beautiful places, but their live show was no more intimate or revealing that watching those, so I stopped seeing them live. It was too disappointing. 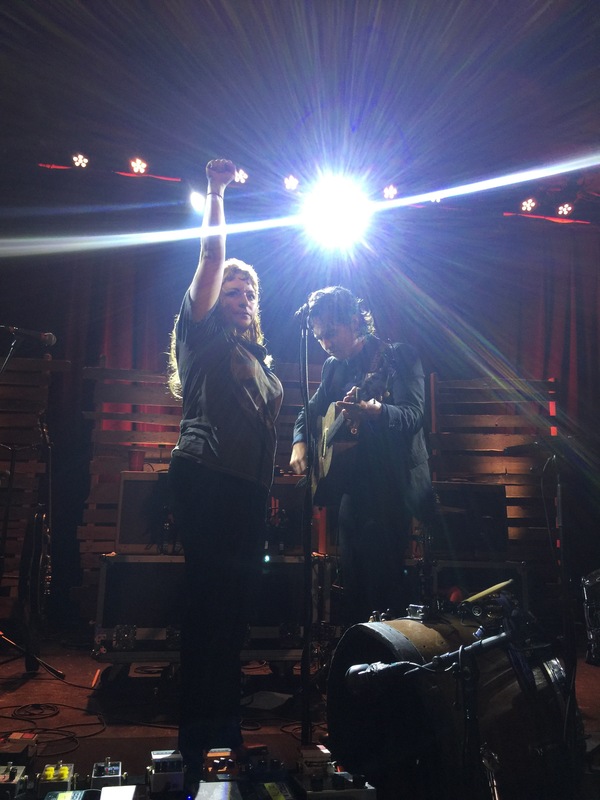 My steadfast concert companion, Colin, won tickets to THATH’s soundcheck in March of 2017 and invited me to join him. I hadn’t seen them in five years, but he has always loved them and seen them live and encouraged me to give them another shot. They were lovely in person, and stayed to take pictures with each and every one of us. They were so kind and engaging one-on-one that it made me a little sad that their show later that night was sold out and that I didn’t have a ticket. I loved meeting THATH in March at State Theatre. Thanks, Colin! THATH did a timely, beautiful cover of “Don’t Dream It’s Over” by Crowded House. It was amazing to hear how relevant those lyrics still are thirty years later–“Hey now, hey now/When the world comes in/They come, they come/To build a wall between us/We know they won’t win.” THATH wrapped their set with “Down in the Valley,” which was another crowd favorite. I always end up behind the tallest person at the show. Don’t worry, I moved. Ten times. Rest in Peace, Charles Bradley. You were a light in the darkness. This was a lovely, uplifting night. I’m glad I was there. 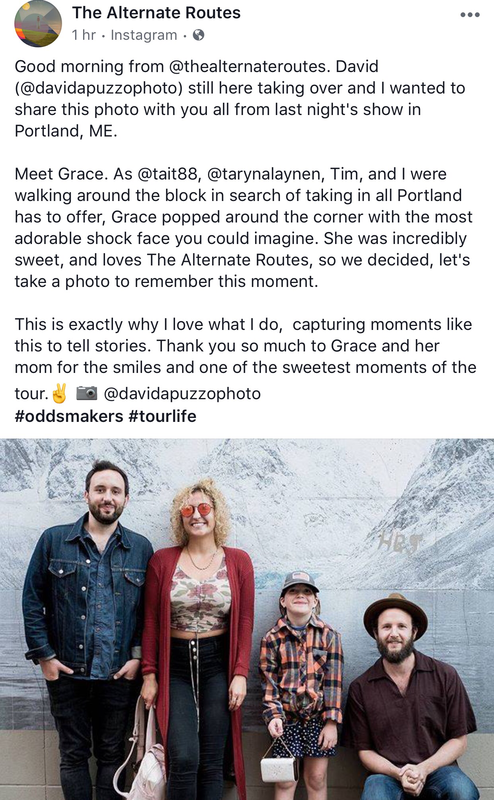 THATH seemed charmed by Portland, and I’m confident they’ll be back soon. PS–Ally! It was great to meet a fellow polar bear! I’m so glad I wore my Bowdoin sweatshirt to the show! Go U Bears! Jonathan Russell sported a Bissell Brothers shirt at the show and apparently took more garb on the road with them. I think he hearts Portland! I’m catching up on blogging today with a heavy heart. I go to school every day in this post-Sandy Hook world, and have no hope that anything will change. I often think about music as being my religion–appreciating the power music has to bring us together and to change us for the better–and being at a concert as being in a sanctuary. My heart breaks for those who went to a concert in Las Vegas and instead got murdered. It’s unfathomable, and yet a norm we are starting to live with. 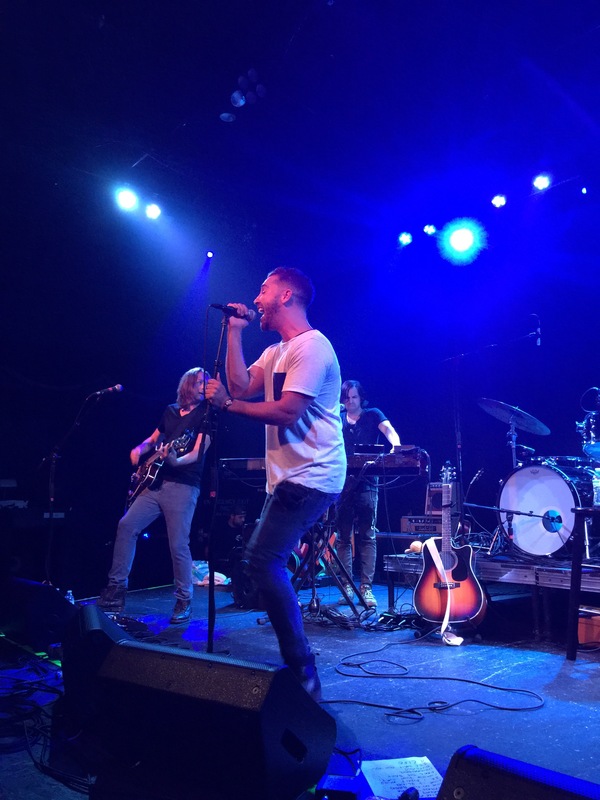 The Alternate Routes have grappled with the issue of gun violence in their music. Guitarist Eric Donnelly’s parents were murdered by an addict with a gun in their Fairfield, Connecticut jewelry store back in 2005, and his song “Somewhere in America” is a stunning song that reflects on the pervasiveness of gun violence in America. Was the gun in the hands of a sick young man with bright blue eyes. A man who looked just like me as far as anyone else could see. A stranger, not an enemy. The Alternate Routes have also collaborated with Newtown Kindness, an organization that sprang up after the tragedy in the Sandy Hook community, and wrote “Nothing More,” which reminds us that “we are how we treat each other, and nothing more.” So here’s a band that puts their energy into this vital issue, and here’s another day in America where someone’s phone is going to ring. I tried to watch Jimmy Kimmel’s response, but couldn’t make it through. I first saw the Alternate Routes open for Carbon Leaf back in 2009, and it was a spectacular, super fun show. Alternate Routes lead singer Tim Warren wrote “With all the love I have in my heart” on the CD I bought that night, their 2009 album A Sucker’s Dream. 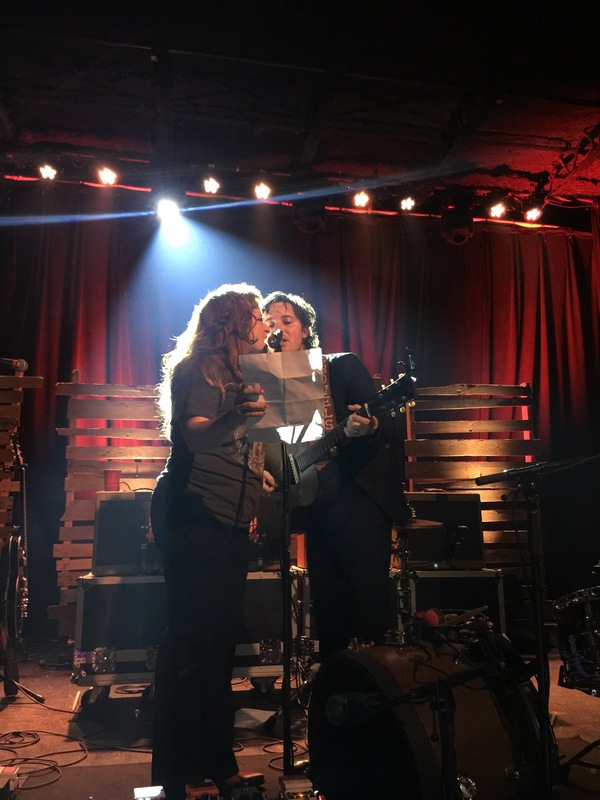 I also saw the Alternate Routes open for Martin Sexton in 2013 and play with the Ballroom Thieves in 2014, but it had been a while since I’d seen them. I watched their Studio Z performance live on Facebook earlier in the day and they told stories that showed their humanity and heart. It made me more excited to see them later that night. I grabbed a quick solo dinner at the bar at Empire (a regular tradition for me on show nights in Portland), but ended up making friends with a few folks at the bar who let me join in their dinner conversation. I also ran into my friend Griffin Sherry from The Ghost of Paul Revere. His publicist had sent me a preview of their newest song, “Montreal,” and I was able to tell him I’d listened a few times earlier in the day and love it. The Ghost recently announced shows for December 30 and 31 at Port City Music Hall, if you’re looking for end of year plans. I made my way to Port City Music Hall and joined my friend Andrea in the front row for some of show opener Luke Fradiani’s set. 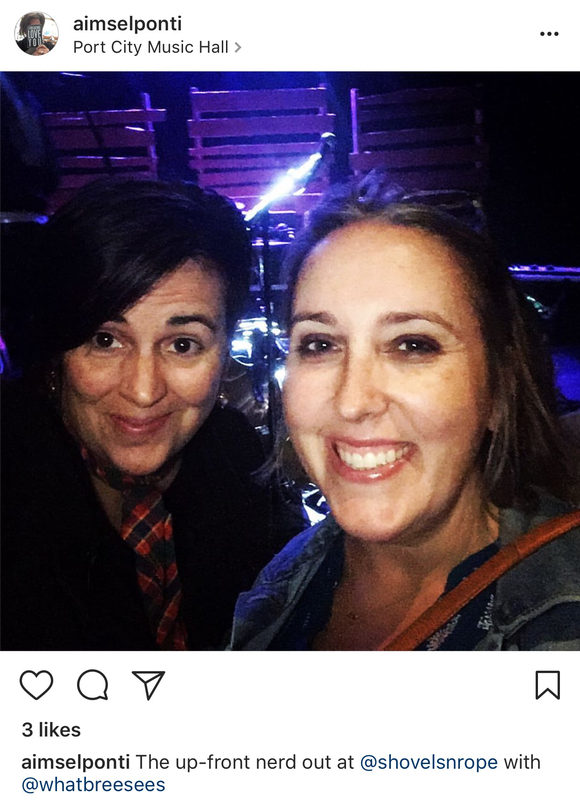 Andrea went to the show to see Luke Fradiani, and didn’t know the Alternate Routes. I was in the opposite situation. Luke was engaging and chatty, and he has a lovely voice. Apparently, he won a season of American Idol, which is pretty cool. Alternate Routes guitarist Eric Donnelly and drummer Kurt Leon were in his band, and I enjoyed the bonus time with them on stage. They did an amazing cover of Billy Joel’s “Downeaster Alexa,” which was amazing. Luke’s songs are a bit simple for my taste, but he was a fine show opener. Andrea disappeared for an hour after Luke’s set to make friends with the band, and his pianist, Mikel Paris walked us out of the venue at the end of the night. It was precious. I don’t usually want to talk to people in bands in case they’re having a bad night and aren’t nice, but Andrea goes for it all the time. This is Grace and a friend. They were right here all night and it was super cute. The band came back for two more songs–“Asked You Twice,” which was a sing along, and we danced the last minutes of the night away to “One Dance Left,” which Tim told us was about feeling free of worry, which doesn’t happen that much. It was a good place to leave it. Check this band out. They’re using their art to do some powerful things, and it matters.